While the world eagerly waits for the Galaxy Note 9, another Samsung smartphone could also be making its way out at the Galaxy unpacked event in New York this week. Samsung’s first Android Go smartphone looks to be very close to release, and we can’t think of any bigger stage in the immediate future. Albeit a low-key, the phone, Galaxy J2 Core, will be laying a new path for Samsung’s mobile business, and very much demands the biggest of the stages for its launch. 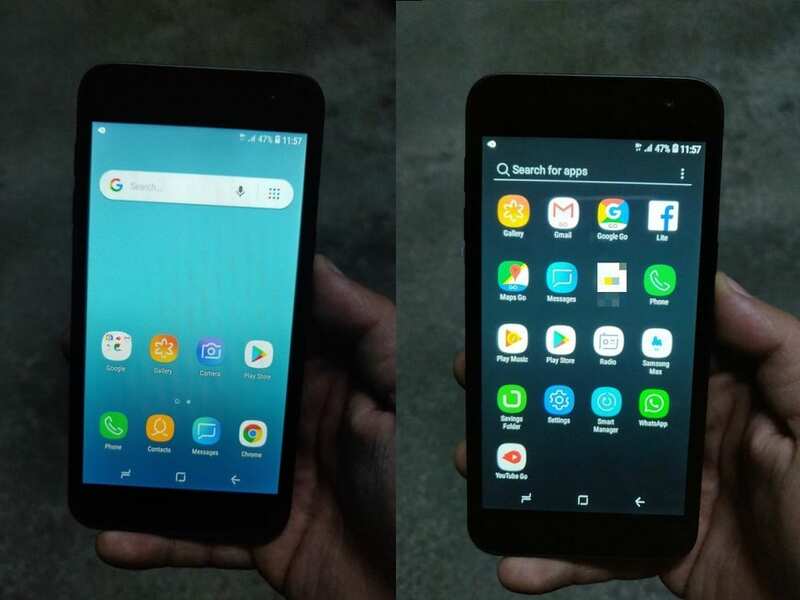 Last month, we revealed that the Samsung Galaxy J2 Core won’t be running stock Android, but will have the Go versions of Google and other apps installed over Samsung’s proprietary Experience UX. Now a month later, firmware of the device has gone live, and as revealed, it will run Samsung’s custom software. This firmware, as expected, is based on Android 8.1, and has version number PDA J260GDDU1ARGC and CSC J260GODM1ARGC. The operating system build date is Wed, 18 Jul 2018 15:03:38 +0000, with changelist 13965529. Security patch date is 2018-07-01. Samsung has been testing the Galaxy J2 Core in a number of markets across Asia, Europe and Latin America. However, it’s possible that the company might not launch the device in all those countries. 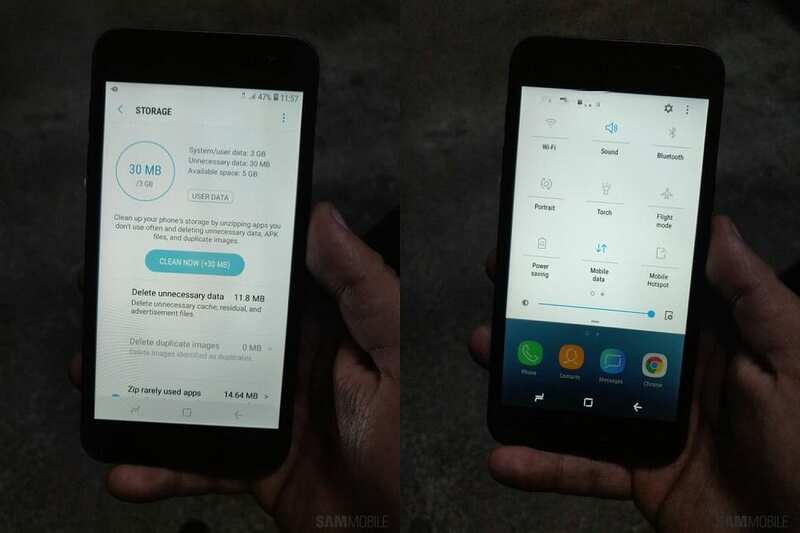 And even if it does, it might first release the phone in Indian subcontinent as the firmware has come out for the SM-J260G (for India). A global launch, in Europe, America and other Asian markets might follow a couple of weeks later. As for specs, the Galaxy J2 Core will be powered by the Exynos 7570 quad-core chipset, supported by 1GB of RAM and 8GB of internal storage. It’ll feature a 5-inch Super AMOLED display, an 8MP rear camera, 5MP front camera, and a 2,600 mAh battery. It will be the first budget phone from Samsung to have software navigation keys. The Galaxy J2 Core has also picked up a few necessary certifications and the arrival of its firmware means the phone could go official any day now. 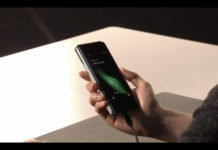 Whether or not it makes an appearance at the Galaxy unpacked event on August 9 remains to be seen. You can download the Samsung Galaxy J2 Core (SM-J260G) firmware from the SamMobile database. 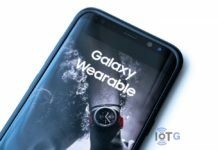 Previous articleSamsung Gear S3, Fit2 Pro, and Gear Sport Deal on NOW!